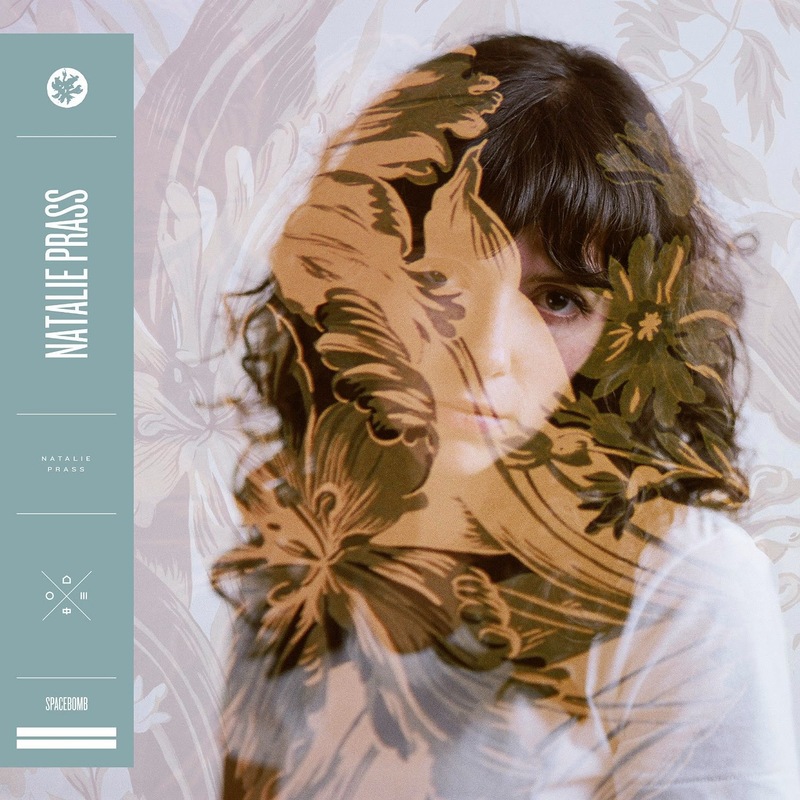 Nashville's Natalie Prass has appeared out of nowhere with a debut album that showcases a unique expressive voice married to a series of classic songwriting pieces and arrangements that pull off the mean trick of sounding effortless but at the same time striving for perfection. Right from the very opening moment of the album, you know immediately that you're listening to a very special voice. Soft and displaying a rare vulnerability in parts, yet incredibly expressive and with a fire burning in its belly in others, Natalie's voice rightly is the centrepiece of this record, everything else feels immaculately crafted around it to bring every emotion and every subtlety to the fore. That's not to say the music on the album is formulaic or riddled with cliche, it's everything but. There are so many genres flowing through parts of this record that it should feel disjointed and awkward, but it is the complete opposite. The arrangers and in-house team at Spacebomb, with whom Natalie collaborated on this record, have painted a perfect canvas for her, laced with elements of funk, soul, rhythm and blues and pure classic songwriting. Opener My Baby Don't Understand Me, a song about break-up, reveals a voice you'd more likely expect to come from a soul legend such as Aretha Franklin rather than a track-suited Nashville twenty-something, yet the next track Bird Of Prey feels so modern in contrast whilst exhibiting a genuine feel and understanding for the past. The brass on Your Fool exudes such soulful warmth that you're transported to a smoky bar in the suburbs of New Orleans complete with Natalie's knowing giggle at the end of the record. Christy sees Natalie move into Kate Bush / Bat For Lashes territory as the arrangements of the song, particularly the strings as the song develops, create a tense drama underneath her voice, but one which allows her to dictate the pace and mood of the song with it, a rare feat that so few modern singers can achieve. Lead focus track Why Don't You Believe In Me is more traditional in structure and instrumentation, but all this serves to do is to bring the voice back into focus, you can read her mind and mood just by listening to the range of her voice, the subtleties as she raises and drops the tone. The beauty of the arrangements come back to the fore on Violently, the strings build and create a tension over which Natalie's voice floats, almost oblivious to its surroundings, but also feeling perfectly atuned to it by instinct rather than design. It's another song about searching for love or dealing with the consequences and fall out of lost love as is Never Over You. Reprise is exactly that, a follow-on to Your Fool which starts with a spoken-word section, out of keeping with the rest of the album, but which fits perfectly with the mood as it continues the theme of love lost and the modernisation of classical musical styles that Natalie and her collaborators have mastered here. Like so many great records, the best is saved for last. It Is You is a string-laden widescreen epic that feels much longer than its four minutes. It starts with dramatic strings that return in parts of the song, yet this is juxtaposed with an understated verse arrangement which wraps itself around Natalie's voice. It's a fitting end to the record. It's rare that an album comes along and stands out so distinctively against everything else and Natalie Prass has managed that with her debut. It's her voice that will garner all the accolades, and rightly so, but this is a record that's been built around her. So often that ends in disaster, but this feels like a truly unique record, destined to either catapult her to stardom or be recognised and whispered about in hushed tones by those fortunate enough to hear it as a genuine lost classic in years to come. Let's hope it's the former. Natalie Prass's website can be found here. She is also on Facebook and Twitter.